By gum, it’s Creek Week. Last week, one found himself at a relatively early hour over in Greenpoint at the Newtown Creek Waste Water Treatment Plant’s Nature Walk. I was there to meet the Waterfront Alliance board people, and speak about both the history of Newtown Creek and the things which the Newtown Creek Alliance is working on in pursuance of our goal to “reveal, restore, and revitalize” Newtown Creek. 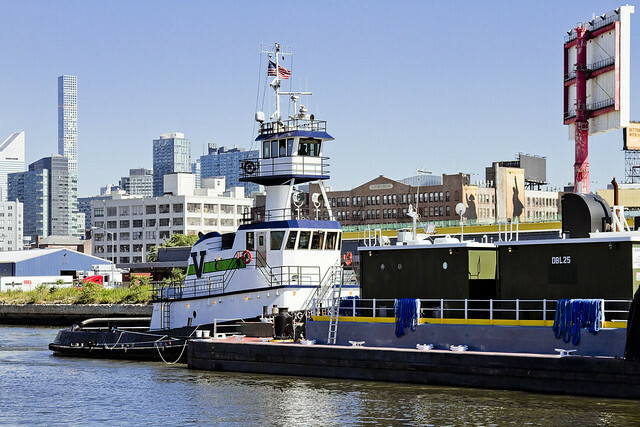 All that notwithstanding, as is my habit, I was early and luckily enough the Vane Towing Tug Hunting Creek was transiting under the Pulaski Bridge. That gave me something to do while I was waiting. One has always been a bit fidgety, a childhood habit which has never been abandoned. It’s difficult for me to “sit still” which sort of precludes me from photographing birds – which requires you to emulate stalking and hunting. Fifteen minutes with nothing to do is an interminable interval. It drives everybody who knows me crazy. 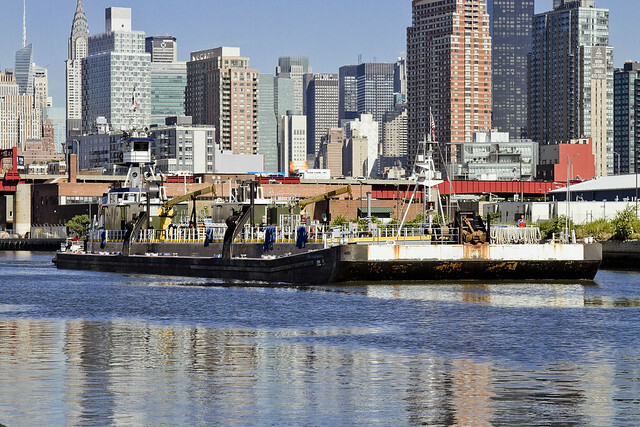 Hunting Creek was towing a fuel barge, which I later discovered, to the bulkheads of Metro Fuel in Greenpoint. 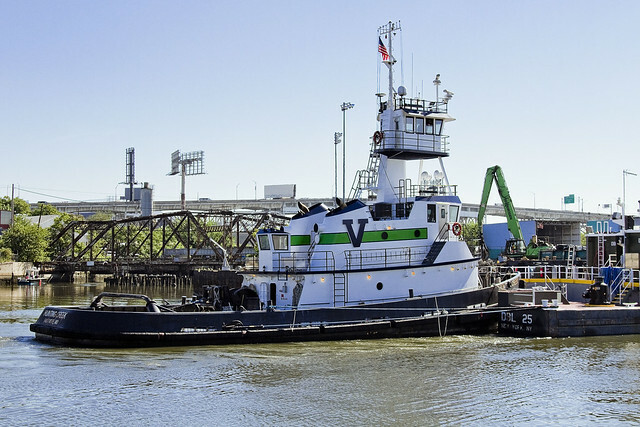 The Vane Bros.’s Hunting Creek tug is a common sight for me. I first mentioned her back in 2013, and a few different views of it making the same transit on Newtown Creek were offered in 2014. I say it all the time – 60% of everything in life is about “showing up,” and getting there a bit early. 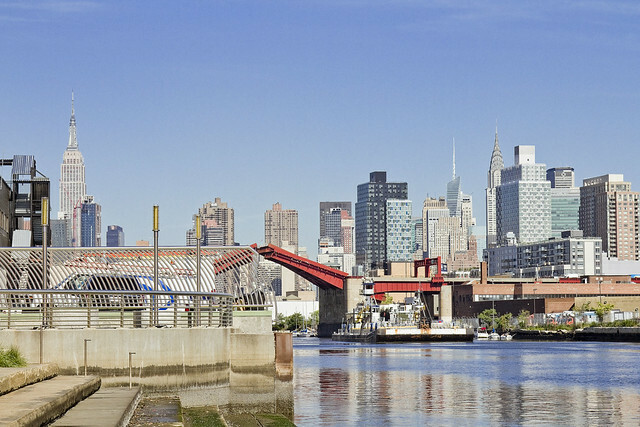 The good news is that shortly after the Hunting Creek disappeared out of view, one entered into the Newtown Creek Wastewater Treatment plant and before the meeting started – the NYC DEP folks invited the Waterfront Alliance group on tour of the facility. That’s where the other 40% of everything happens – lucky circumstance. More on that tomorrow – at this, your Newtown Pentacle. with NY Adventure Club. Click here for more details.